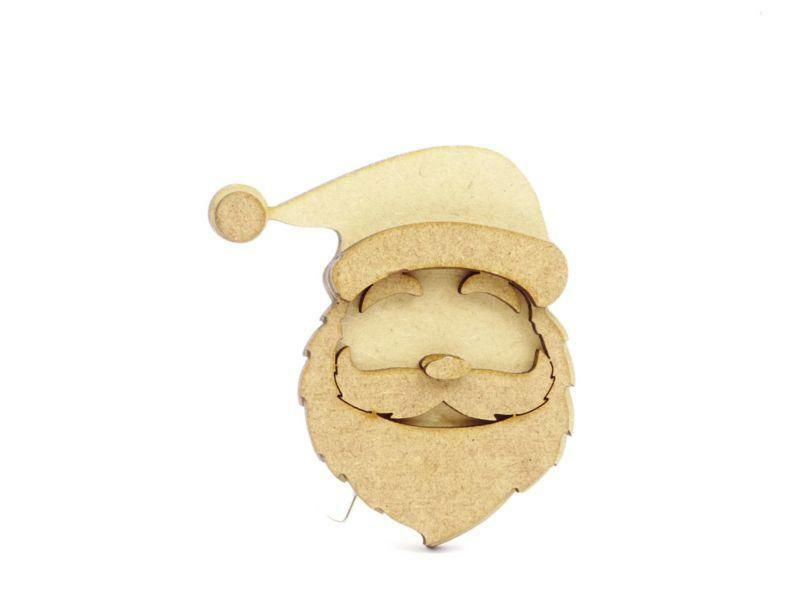 Mdf Santa face for crafts, 3d Father Christmas decoration. 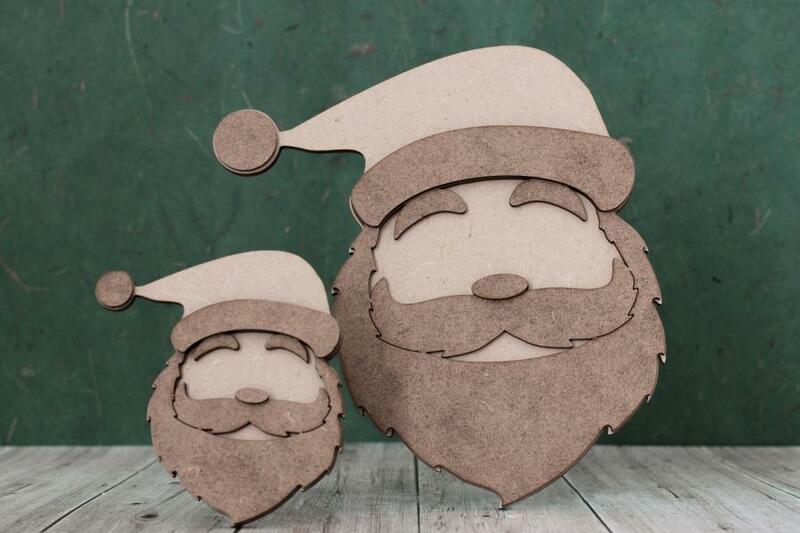 3d mdf Santa face kit. Laser cut from premium grade mdf. These come in kit form for you to stick together yourself, ideal Christmas craft project. Easily glued together using your favourite pva / wood glue (not included) The mdf has a lovely smooth finish so painting easy too. Ideal for your Christmas crafts, decorations and home.